Today I was not prepared... it is a Monday... I post recipes on Mondays... and I don't have a recipe. I am currently in Denver for work (and a little play) and frankly my brain is distracted and preoccupied and in the midst of travel prep I forgot to come up with a recipe. Ok... that being said, I figured I would, instead, feature a few of my favorite food blogs and their amazing recipes. 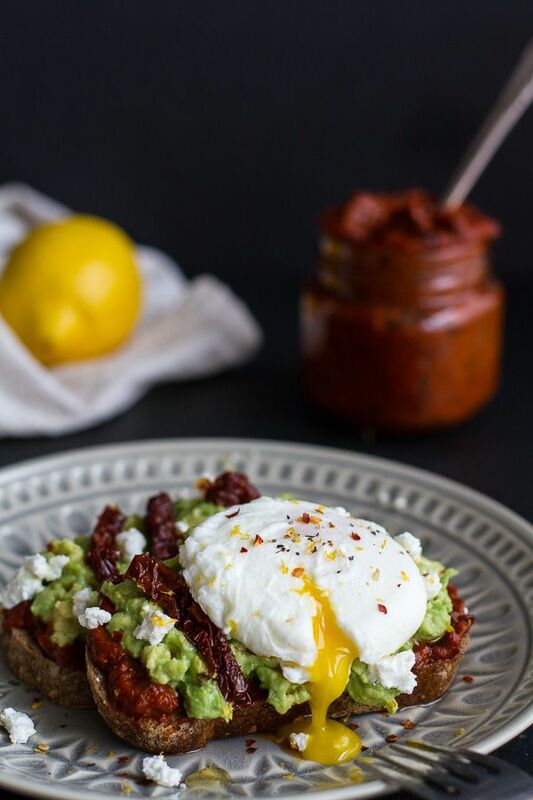 Half Baked Harvest made a harissa, smashed avocado, goat cheese, poached egg piece of heaven worthy of any breakfast occasion (especially if that breakfast is indeed a brunch). Since you had such a healthy lunch, splurge on these bonkers amazing Bahn Mi FRIES! UM HELLO! I Am a Food Blog read my mind. Say please and thank you then stuff your face with all the amazing goodness that are these fries! Finally... since dinner was a little on the heavy side how about a 'healthy' desert, just for fun. How Sweet It Is pulled together a whipped, double chocolate, chia pudding that looks to die for (and it has chia so it is TOTALLY a health food... right?). While I feel bad that I didn't cook for you this week, I also feel like I am expanding your culinary horizons in ways that I (more than likely) am unable to do on my own (from my own, slightly defective kitchen). Go, EAT, enjoy. Be well my friends, may your week be filled with amazing moments and even better food.